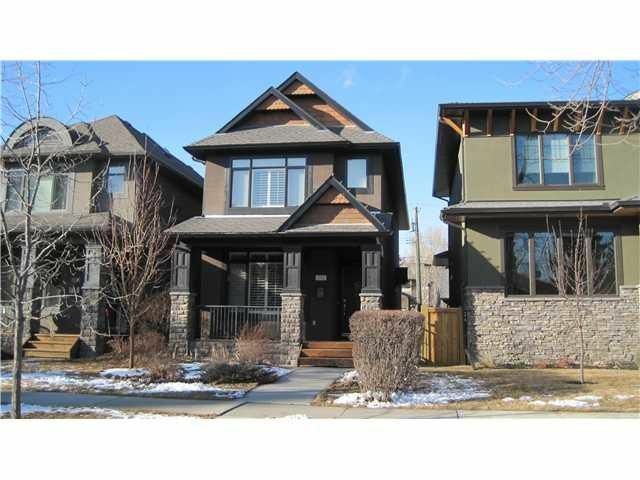 Jesse Davies sold this stunning inner city home located in the desirable West Hillhurst community. This home features a custom detailed design that features a centered rising staircase. The unit boasts hardwood flooring, granite counters. The unit boasts a fireplace in the main living room leading out to the back yard. The house has a fully finished basement with in floor heating. This stunning home features 2 bedrooms upstairs and 2 bedrooms located in the basement. The unit features a 5 pc ensuite with a jetted tub, his/her sinks and a stand up steam shower. The unit also features irrigation system for watering the grass. This inner city location is excellent as the street is beautiful with large tree's and new infills similar to this unit, end of the street is a playground, outdoor swimming pool, hockey arena, sports fields, tennis courts, fitness centre. Easy walking distance to North Hill Mall, Kensington district & downtown. LRT stations are 10 minute walk either going north to Lions Park or east to Sunnyside.